To provide software products and services that will directly contribute to our customers overall business success in the marketplace. 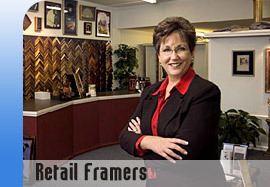 Our mission is to introduce innovative software tools to the art and picture framing industry. The staff of SpecialtySoft strives to demonstrate our organizational values of integrity, professionalism and excellence in all our products and services. Because we believe that our customers are our most valuable resource, we view our users as business partners. Based upon user and industry feedback we endeavor to meet or exceed our customers expectations by continually enhancing our products and services. Specialty Software Systems, Inc., a North Carolina corporation, was incorporated July 18, 1996. SpecialtySoft-POS has been in development since 1994 and the first system was placed in 1996. SpecialtySoft-POS is a comprehensive retail point of sale and shop management tool for the custom picture framing industry. Consistent with our goal to offer innovative products for the entire industry was the development of SpecialtySoft-Corp. This product is marketed to multi-site organizations that have centralized operations and want to consolidate production and/or financial information from several retail locations to a centralized facility. 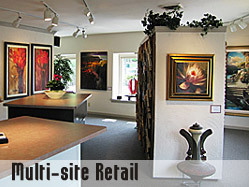 The communication between the stores and Corporate occurs via the Internet . The initial SpecialtySoft-Corp system was placed in August 1998. Three founding partners, Jeff King, Tom Booher, and Jeannette Jessup, developed the base product. Jeff King is responsible for research and development of our software products and services. His background is accounting and computer science. Jeff has extensive computer hardware and retail systems knowledge, and is creative in the conceptualization of system designs to fill unmet needs in the marketplace. 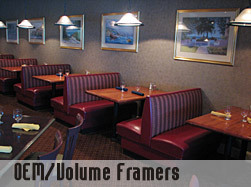 Additional experience includes working in a custom frame shop that is still used as an alpha test site for SpecialtySoft. Tom Booher has been programming for 16 years. He has taught classes in program and database design. He has worked with multiple operating systems in various programming languages. Previous projects for Tom have included development of databases for various corporations. Tom heads up the programming department for SpecialtySoft. Jeannette Jessup is responsible for the day to day operations of the company, is involved in the design stages of product development, and oversees all human resources functions. .Formerly a Regional Vice President of a large national healthcare company, Jeannette successfully grew and managed a 20 million dollar region with 13 locations and over 2000 employees. She has 14 years of management experience including human resource management, operations and financial management.